Project 2018-19 kicked off with a bang on Saturday, October 6 with a full house of students and parents ready to seize the future. In the first official session of the year, the vision was relayed, the goals were set and the activities for the year were announced and explained. 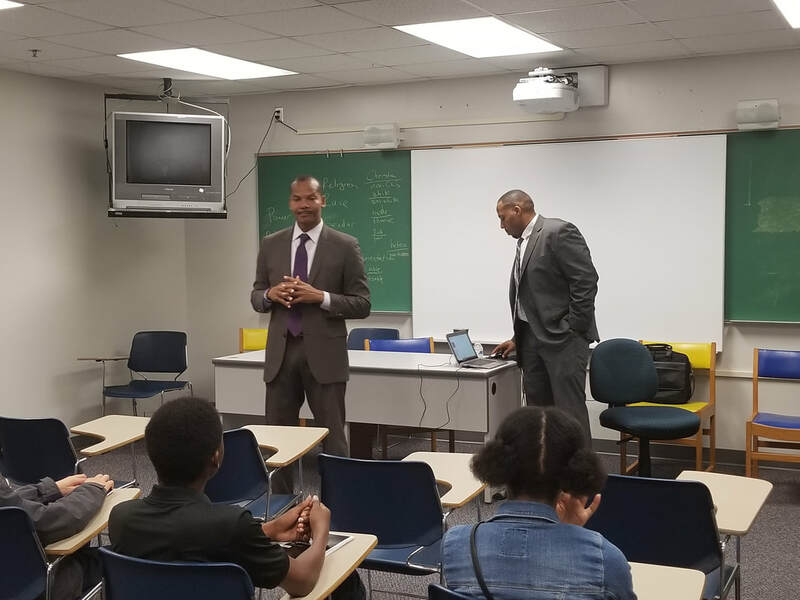 Director Willie Hines is big on the "elevator speech" -- getting students to "speak up" and learn how to communicate confidently and competently. He used the opening session for 2018 to call students to the floor to speak extemporaneously about what they did over the summer in the context of their future vision of the new academic year and eventually graduating and heading off to college. 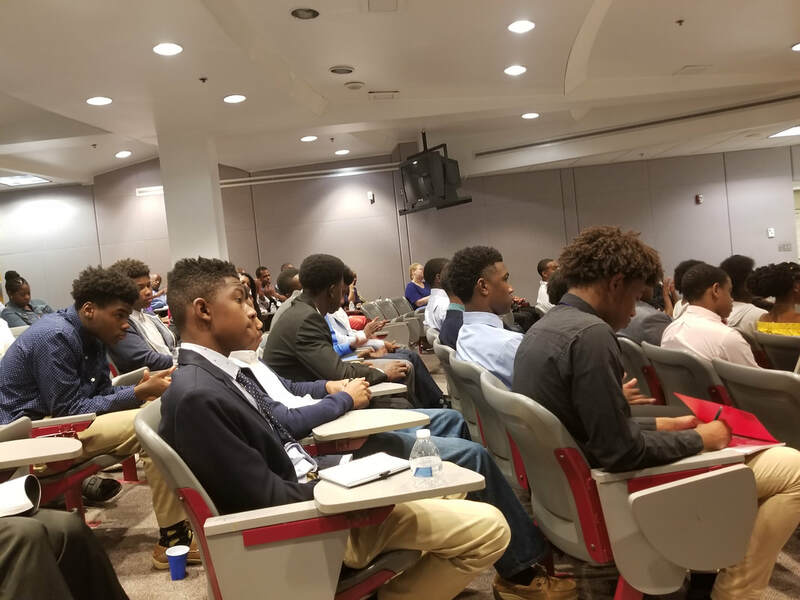 The students could see that vision in reality through alumna Payton Adams, who returned as a special guest and gave some very realistic and heartfelt advice from her first year at Bennett College in North Carolina. Her message about preparedness, focus and maturity really hit home to the Project ENRICH family. Her overall message was that Project ENRICH really prepared her for college! One of the staples of the Project ENRICH program is the group breakout sessions. True to form, the students sent part of the day assembled in classrooms with their group leaders imparting information about and leading discussions about careers, choosing a field of study, self skills assessment and how early to start thinking about college choice. Meanwhile, parents gathered in the auditorium to discuss how they could engage in Project ENRICH with their children, and the formation of this years Parents' Club. Director Hines also introduced the men of Omega who will be leading the groups - Freshmen, Sophomores, Juniors and Seniors. They are Lucien Cox, Marc Ellington, Marc Rascoe, James Riley, Jr., Andrew Clarke and Ben Greene. Project ENRICH got off to a fast start! It only gets better from here. ​​"it must be borne in mind that the tragedy of life does not lie in not reaching your goal. ​The tragedy of life lies in having no goal to reach."